Business owners and marketers instinctively know that before a prospect turns into a client, they want to hear success stories. When you demonstrate — rather than declare — your business’ value, your prospects are more likely to engage your services. To best distinguish your business and set it apart from your competition, follow these tips to create persuasive and compelling customer testimonials. A great customer testimonial demonstrates your company’s value and why someone hired/purchased from you. Beyond showing that your customer is happy, the testimony explains their problem or pain point in some detail as well as the impact or opportunity cost of not solving it. Ideally, the testimonial is persuasive to your best prospect; they identify with the situation and are compelled to reach for the phone or fill out that “contact me” form on your website. If you didn’t get permission to use their name, company or any part of their testimonial, respect their wishes. If you did get permission, great. Be sure you’re clear about how and where the customer testimonial will appear (website, marketing brochure, etc.) “Fake it ‘til you make it” simply doesn’t apply in this situation. Like lying about a reference on your CV, a fake customer testimonial could blow up in your face. The most effective testimonials break down the story into smaller components. Well-crafted endorsements grab the audience’s attention so they want to read more. Client references should be parsed out into rotating quotes or bullets on the home page’s sidebar so prospects see how fabulous you are wherever they happen to navigate while visiting your website. Quantitative results get attention; qualitative results can convince your prospect to take action. The most persuasive testimonials speak to both sides of the brain. Have you ever seen a testimonial quote that doesn’t sound real? Hopefully, your current testimonials sound like real people. And there’s no better way to show they are real than by linking them to an actual client’s website, LinkedIn profile or Facebook page. Not only will it show that it’s real, but it gives them a little Google love to boot. 70% of links chosen during a keyword search are organic rather than paid. That means if your testimonials support your keywords, it helps you build search engine ranking. Hey, every little bit helps and it’s relatively easy. Pick out the search terms or topics your clients are “Googling” to find services like yours and pepper them into your customer testimonials. Over time, your website copy will show you as an industry leader. Testimonials showcase your brand in action. Know your competition, and be crystal clear on how you are different. Have at least one of your customer testimonials speak to your “value-add.” It should be distinctive of your “special sauce.” Without it, your service can be as seen as a commodity and interchangeable with your competition based on price and convenience. Smear campaigns (like those used by some political candidates) send a sour message. So don’t let your customer testimonials nay-say or bash your competitors. The testimonial is all about your business and how fabulous you are. Period. One best practice is to categorize quotes by themes, solutions, or common pain points. Group customer testimonials in a variety of ways, such as a type of service, client types, or industry specialties. Prospects are looking at your website (or social media profiles) to see if you’ve solved a problem like theirs and worked with a client that looks like them. The best customer testimonial is the one you’ve gathered and actually used. 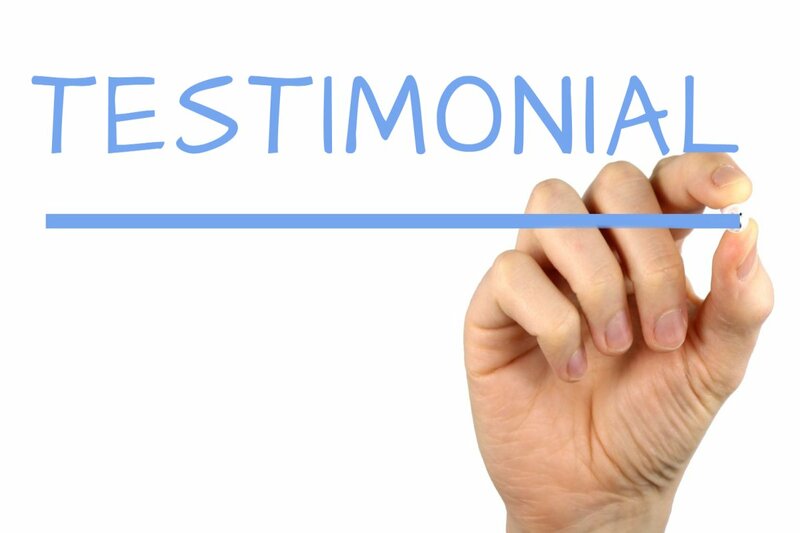 While testimonials have a long shelf life – even those with amazing results – they lose a bit of their sheen over time. Showing a long history of happy clients is great. However, you want recent and relevant examples to bubble up to the top. Also, don’t just share the testimonials on your own website. Make sure you’re getting them for your Google My Business page, or for your Yelp profile. While you can’t directly solicit these testimonials, you should try to encourage them when appropriate.